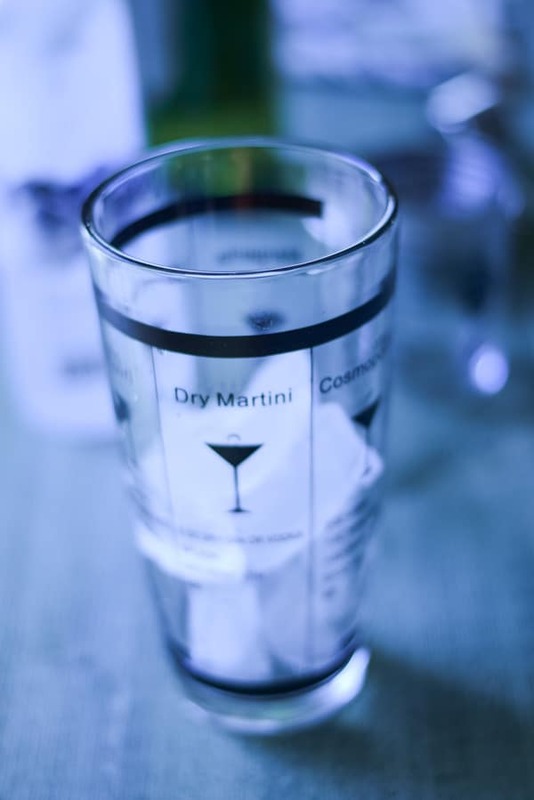 This is my perfect dirty martini recipe! I drink one every weekend. Okay, maybe two! 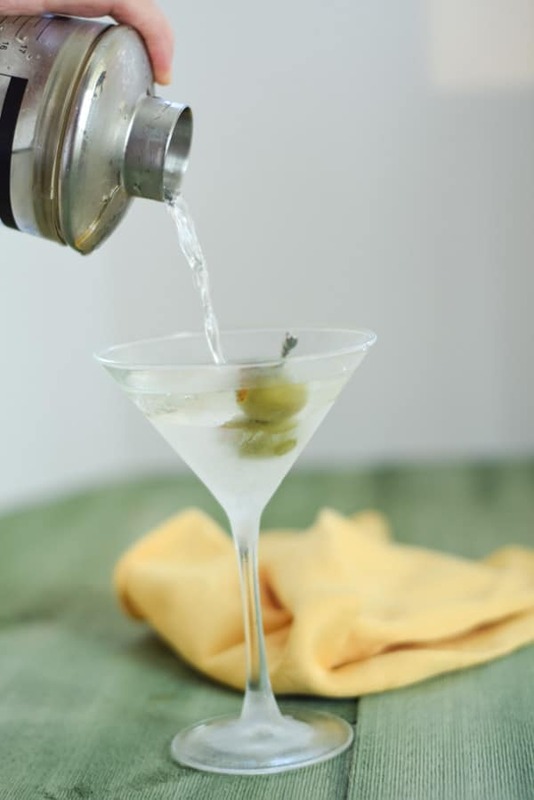 Ahhh, the perfect dirty martini! If someone had told my 21 year old self that at some point down the line I’d be drinking and enjoying martinis, I would have screamed, “Crazy person!” and run away as quick as I could. Boy, times have changed. I was first introduced to the martini by some cousins. We rented a cottage together one year for a week and for cocktails one night we had martinis. Needless to say, I didn’t make it through a few sips. To be honest, it tasted like diesel fuel to me. Not that I’ve tasted diesel fuel, but I can imagine it tasting just like that. It was a gin martini. I like gin and tonics, why didn’t I like the gin martini? Who knows? I just knew I didn’t. 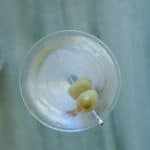 A few years later, I was re-introduced to the perfect dirty martini by my sister-in-law. I remember her having one and me taking a sip and thinking that the vodka martini was better than the gin one but I still wasn’t a fan. And then I poured the liquid that remained with the ice in the shaker in a little glass and sipped it. The more I sipped, the better it tasted. The next time we visited her, I had my very own vodka martini. Let’s just say that was the start of many since imbibed by me. Something is very wrong with the picture above. The shaker is EMPTY. We must rectify that! I usually put in the ice at this point. 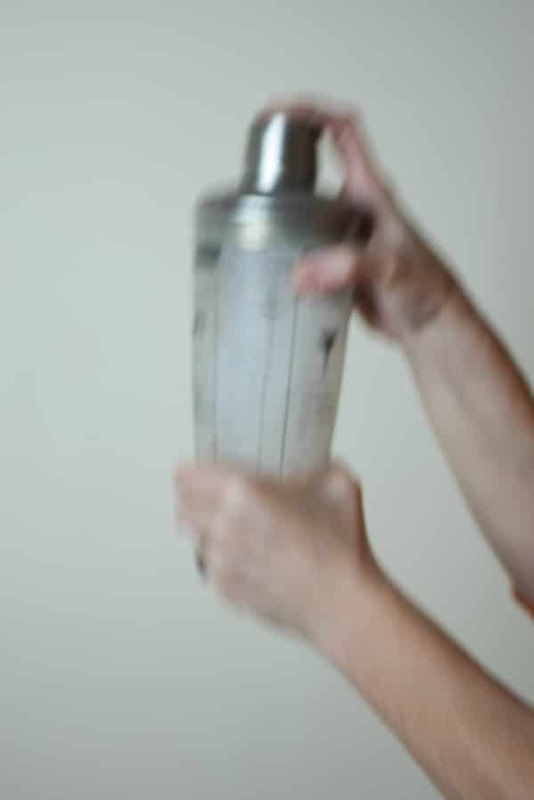 But first, let’s talk about the shaker. I love this shaker. I got it at a kitchen shop in Maine when we lived there. I love glass shakers. I know that the metal ones are great and I have certainly used my share of them because I used to bartend. But, I prefer this one because it doesn’t FREEZE my fingers. And there is nothing worse than trying to take off the metal top of a metal bottom. It sticks like glue and you have to wiggle it and pry it until it comes off. I never use the printed directions that are on the sides of the glass shaker but I do like them. They add something to it, don’t you think? Okay, back to the ice. 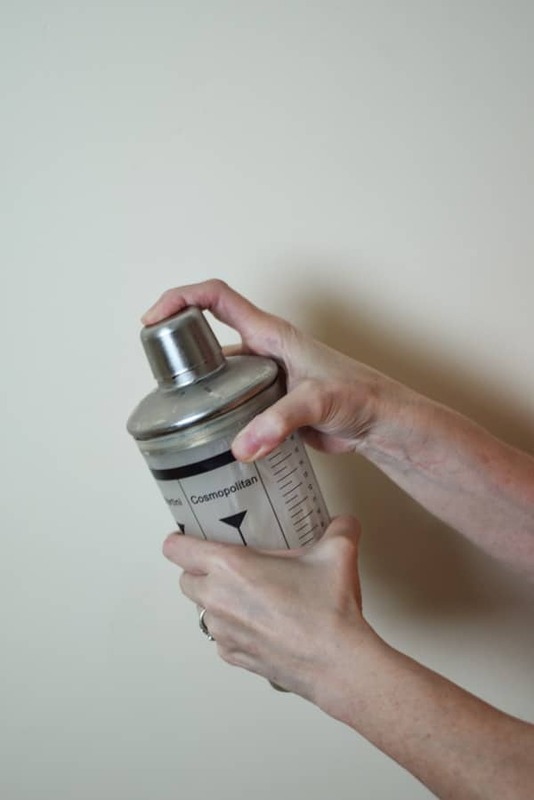 Fill the shaker halfway. It’s okay to let it melt a bit while you’re gathering the other ingredients. 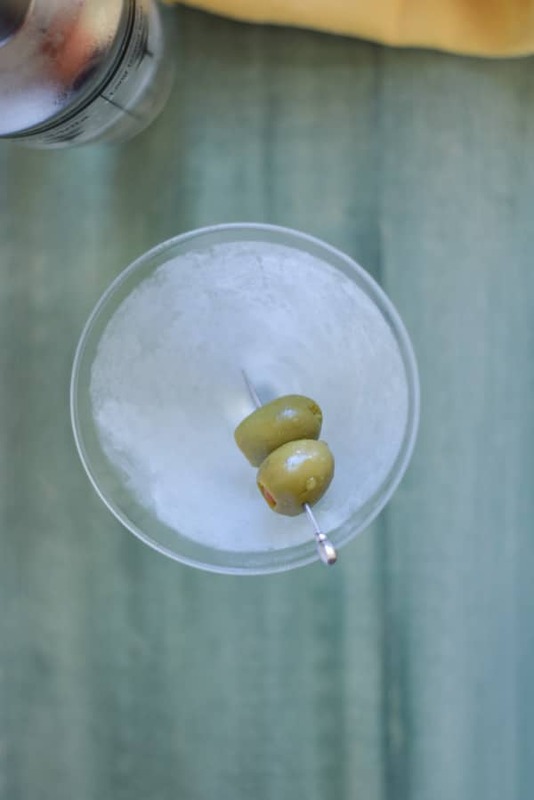 Now, if you look up martinis on the web, you will see many variations, all claiming to be THE recipe. Well, I’m not going to be that bold because I am humble. 🙂 This is MY perfect martini recipe and it includes liquor, vermouth, olives and sometimes brine if I want it dirty. Some people prefer gin, others vodka. As I stated earlier, I’m all about the vodka. And not just any vodka! I like the good stuff, like Grey Goose. It’s my go-to vodka. 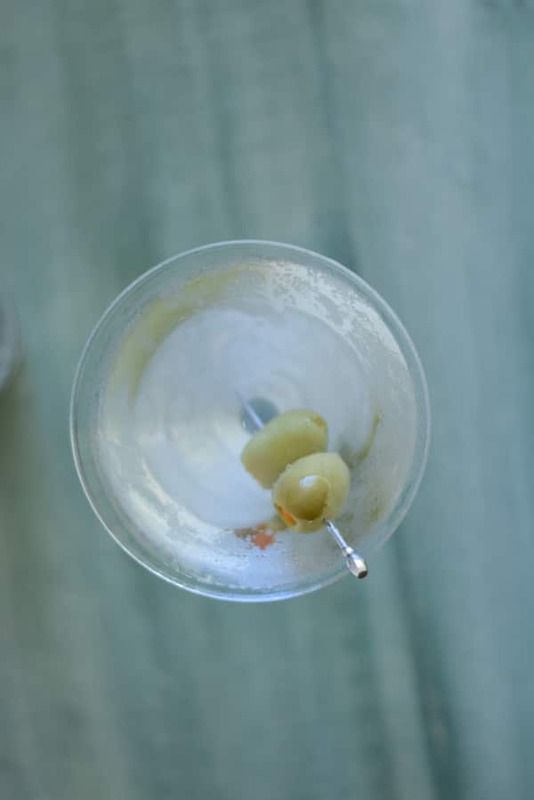 Other than which vodka to use, one of the other things people differ about with martinis is how much dry vermouth to use. I’m of the mind set that the less the better. I’ve tried it with more. I’ve tried it with a little less. And now I’m at the point where I want just a taste. A dribble, if you will. 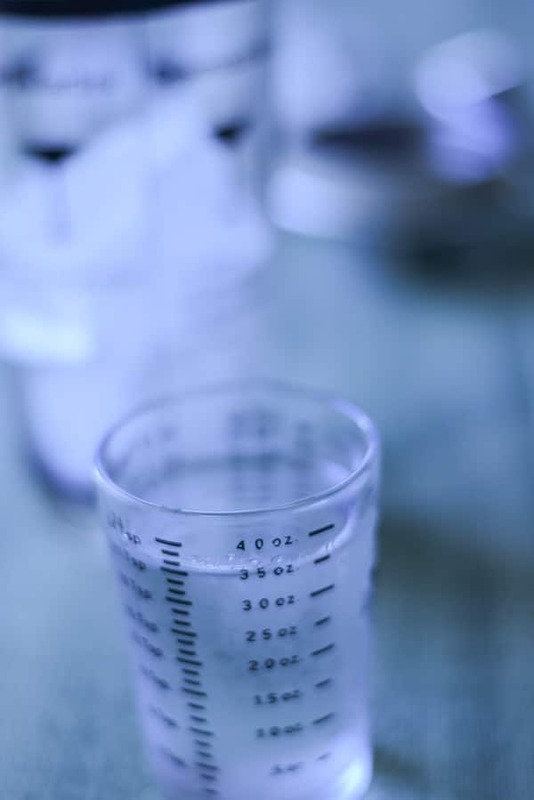 In the photo above, you see a small amount in the glass. I do not use that amount. Oh no. What I do is pour a tad of vermouth in the glass and swirl it around so that it coats the sides of the glass all the way up to the rim. I will have to chime in at this point that I DO stand at the sink so the force of the swirling doesn’t send the vermouth out of the glass to splash everything around me. After the sides are coated, I dump the vermouth out into the sink and let the residue slide down to the bottom of the glass. I then stick the glass into the freezer in preparation for the main event. I usually keep a small bottle of vodka in the freezer because cold is good! 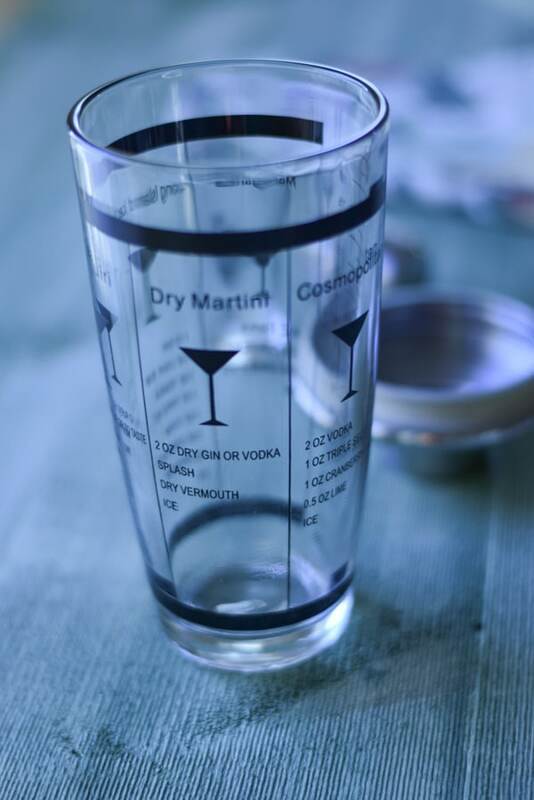 Especially for a martini. 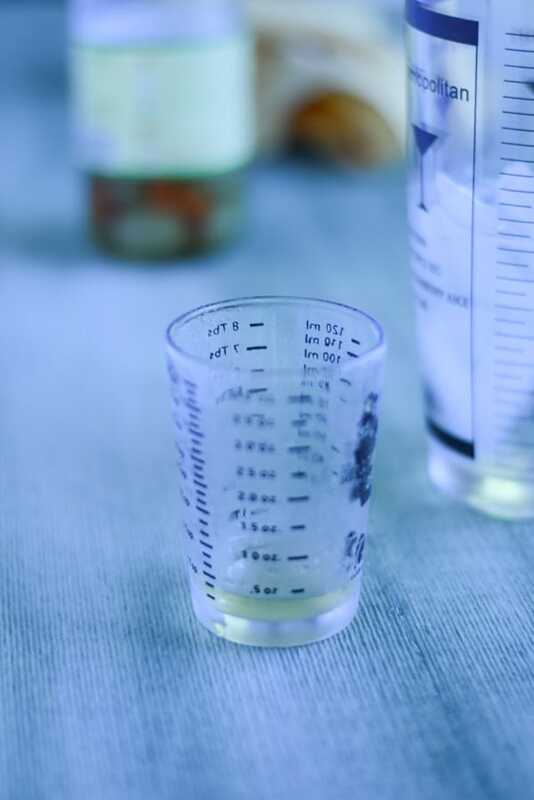 I included another photo of the measured vodka, because, why not? Time to dump it into the shaker and the ice. and this brand is very good. I pour a little less than .5 ounces as you can see in the photo above. I pour it into the shaker to join the vodka and ice. Next, is the fun part. The shaking. I have to say that at this point I don’t mind if the vodka mixture stays steeping in the shaker. I don’t mind it getting watered down a little. 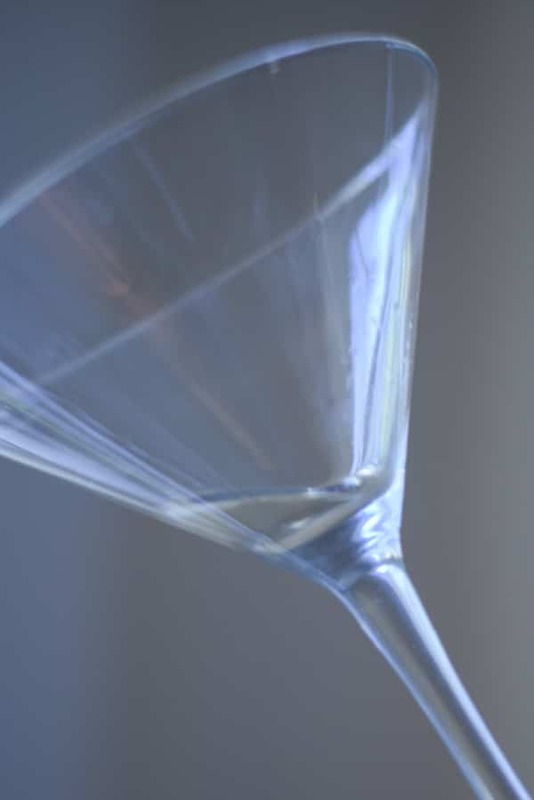 But if you are a purist, then you can shake it right away, grab your martini glass out of the freezer and pour away. This is me just starting to shake, notice the splashing vodka up the sides of the glass. The next picture below is blurry but that is because I wanted you to see the vigorousness of my shaking. 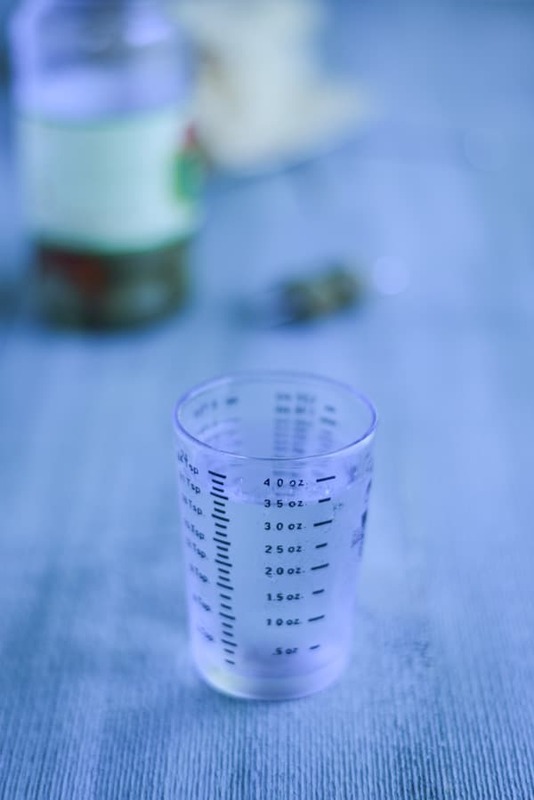 If there was vermouth in the shaker, the ice along with the shaker, helps break down the vermouth, which is the intention to release the flavor. I shake simply because I really like doing it though I also like the ice to break apart so it gathers at the top of the drink. Now I take out the martini glass from the freezer. Look at how frosted it got!! I plop skewered olives in the glass before I start pouring. Here goes! Yum, yum, YUM! All that’s left is to pick up the glass and sip. That is my favorite part! 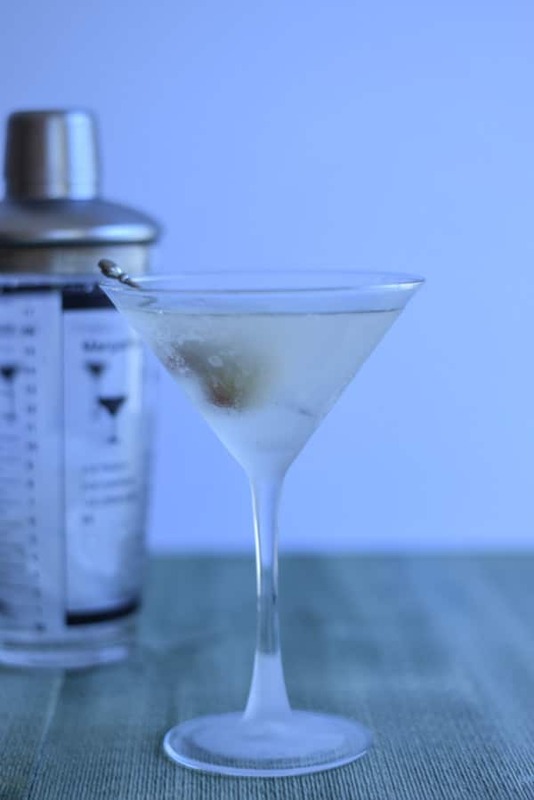 I hope you enjoyed this perfect dirty martini recipe! And as always, may all your dishes be delish! Oh, and of course, your drinks, too. This has the perfect amount of brine to vodka! Such a yummy drink. My favorite! You can use either vodka which I love, or gin! You choose! My husband makes his martini similar to yours!